Editor’s note: For this question-and-answer article, professionals in the marina brokerage business have shared their thoughts on how the marina market performed in 2018 and what the predicted trends are for 2019. Jason Spalding is a licensed real estate broker with CBRE Marine Services. Steven Ekovich is national managing director with Leisure Investment Properties Group. Brett Murphy is an investment specialist in the marina division of Leisure Investment Properties Group. Q: How did the marina market perform in 2018? Spalding: The marina market performed well in 2018. Outside of Safe Harbor Marinas’ acquisition of the Old Port Cove Holdings portfolio in February, I believe we are nearing the endpoint of the large-scale portfolio transactions in the U.S. and Canada that have been transpiring since 2015. Most of the portfolio transactions have either already traded, or the ownership entities have tested the waters through quiet marketing initiatives and decided not to sell. There are still a large number of investment-grade marinas and smaller scale facilities individually owned and operated that have decided not to entertain offers at this time or are being retained to pass down through family generations. In addition, there are several regional entities actively pursuing their own acquisitions of marinas that either fall under the investment-grade criteria and/or are situated in secondary locations. Spalding: I would say there were overall more individual transactions that took place in 2018, but at an accumulatively less dollar amount than 2017, given that the Brewer Yacht Yards, Loggerhead Marina Portfolio and Parkbridge Lifestyle Communities Portfolio all transpired in 2017. Q: Any surprises in 2018? Spalding: The three things that surprised me the most in 2018, have been the continued interest from private equity groups trying to get up to speed on the marine asset class to see if it’s a niche sector that they want to participate in; the number of foreign entities looking for an initial presence in U.S. market; and the volume of boat and yacht manufacturers that have repositioned their businesses, sold off or acquired specific brands, and shifted their geographic footprint of facilities. Spalding: Under current market conditions the majority of the highest ranked vessel registration states (CA, FL, MI, MN, NC, NY, OH, SC, TX and WI) are performing very well. If a marina facility is well situated, is in proximity to ocean/gulf/bay access, is stabilized and properly managed, and either has existing or potential ancillary revenue sources, such as food and beverage outlets, office/retail space, then there will likely be multiple offers received for the property. Spalding: The extreme weather affected several marina operations, especially within the Florida Panhandle and along the Outer Banks of the Carolinas, where both Hurricane Michael and Hurricane Florence hit. It is an unfortunate part of nature that owners and operators must deal with, and it seems to be happening on a more frequent basis. There is little anyone can do to stop the demolition of a drystack building or floating docks getting wiped out; however, every facility should take the precautionary steps as storms are approaching and have a well-thought out hurricane plan in place. It is worth noting that the markets directly impacted always seem to recover with time. I was recently down in the Keys and saw some of the rebuilding efforts firsthand since Hurricane Irma struck in early September 2017. The facilities that have decided to rebuild are doing a fantastic job. Spalding: A general rule of thumb is that no two marinas are alike, and no two buyers are alike. As a result, I would say it is dependent on the buyer. For the larger ownership entities like Suntex and Safe Harbor Marinas, they would prefer investment-grade marinas (200+ slips and/or in-place NOI > $1MM) in locations with a proven recreational boating customer base and facilities where pure dockage and vessel storage rates make up more than 65 percent of total revenue. Many of the regional owners are not afraid to take on smaller, value-added opportunities in secondary locations where they feel they can improve upon operations and draw additional boaters. Q: Are you seeing any specific renovation/facility trends? Spalding: Outside of the ongoing trend to reconfigure existing marina docks to accommodate larger vessels, as well as the standard replacement of dated construction with better quality docks for both longevity and performance, the two biggest trends I have seen lately are: 1) a push towards automated drystack facilities. Gulf Star Marina (Fort Myers Beach, Florida) is currently under construction with an automated facility to be completed in the Spring 2019, and two other transactions that I have been involved with, Virginia Key Harbour & Marine Center (Miami, Florida) and the Cordova Boat Club (Fort Lauderdale, Florida), are both redevelopment projects that are proposed to replace traditional drystacks with automated facilities of 750 dry slips and 237 dry slips respectivel; and, 2) the need for and interest in developing new facilities that can accommodate megayachts and superyachts. 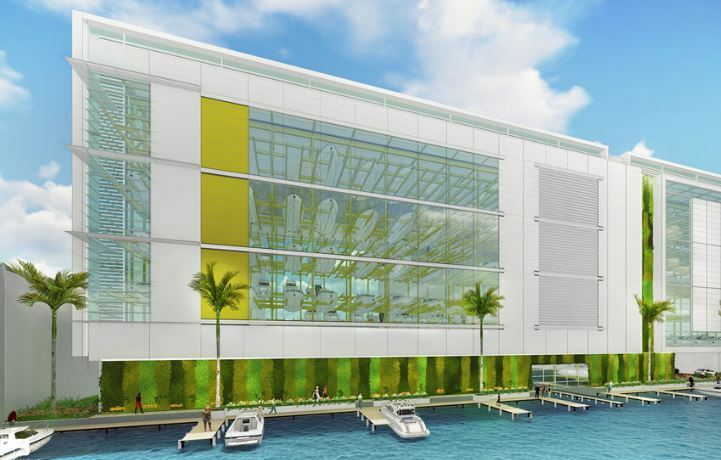 There are a number of such facilities in the works globally inclusive of the Seahaven Superyacht Marina (Dania Beach, Florida). Spalding: In today’s world, the biggest value-add for any real estate property, inclusive of marinas and boatyards, is whatever you can afford to implement to improve the overall customer experience. Marina owners and operators should try to create experiences that resonate with the boating customer base over the long term and connect with them directly. A few that come to mind are: recreational rentals (bicycle, scooters, kayaks, SUP, etc. ), concierge services (greeter welcome, pick-up, delivery, provisions), food services (rotating food trucks, small food hall, coffee shop), and any marine oriented branded retail. Spalding: The main reasons people have sold over the past year are the historical low cap rates that purchasers have been paying within the marina asset class, concerns that if they were contemplating selling at any point in the near term, we are close to the peak of this real estate cycle, and directly related, the ongoing rise in interest rates. Spalding: Other than the potential volatility within foreign country relations and economies, the main three outside factors I see as a challenge to the market are: generational preferences (on-demand, rental, membership vs. ownership), tariffs (U.S. trade deals that have done little to ease concerns over aluminum and steel tariffs within the marine industry), and the ongoing rise of interest rates (everything that goes up most come down). Spalding: The current valuation/pricing trends in 2018, by and large, remains unchanged and the same as they were in 2017. In general, I would base a marina’s value upon a sliding scale of 7 to 10% cap rates contingent upon a number of factors, including but not limited to: a thorough review of the P&Ls; the size of the facility; where it is situated (lake, river, ICW, inlet); the strength and stability of the customer base; if the facility is properly managed; historical employee turnover; the need to address capital expenditures; a full analysis of ancillary revenues streams; historical slip rates/market rate comps; available upland area for future development, etc. Spalding: Under the presumption that things remain status quo as far as the economy, I foresee a continued consolidation within the marina sector. Likely through some of the international portfolio owners entering the U.S. space, and vice versa with some of the U.S. portfolio owners expanding their footprints into international locations. I would not be surprised to see at least one or two large-scale portfolio transactions transpiring overseas. In addition, I believe there is the potential for a merger between one or more of the existing national or regional owners/operators as they reconfigure their existing geographical footprints to fill in the locational gaps.